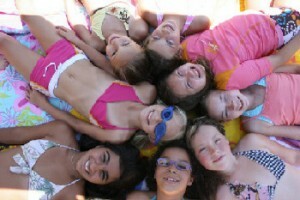 Why Work At Summer Camp? 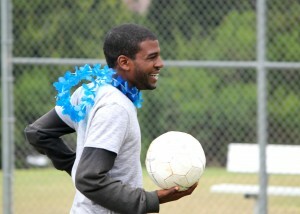 Camp is more than a job- it's an opportunity to make your summer meaningful. Make a positive impact over the summer. Help a child build self-confidence, overcome a fear, or learn something new. Be a teacher, role model, and mentor all rolled into one. Introduce children to the outdoors and the world around them. Guide a child through trying new activities and uncovering new interests. Create memories for children to cherish for years to come. Develop your own interests, passions, and friendships. Work alongside a committed peer group as a member of a dynamic staff team. Find a position that suits you and allows you to share your expertise or explore new interests. Learn about and embrace your individual strengths. Spend your summer in an active environment enjoying time spent outdoors. Wake up each day to a job you love. Build a resume that will impress future employers. Develop in-demand skills that will be attractive to hiring managers across all different industries. Gain practical, hands-on experience to reference in job interviews. Relate to future employers, who may be former staff or current parents who know the value of camp. Demonstrate follow-through and responsibility by committing your summer to full-time work. Add to your network of personal and professional references to call upon down the road. What do former Disney chairman Michael Eisner, first lady Michelle Obama, musician Zac Brown, and actor Denzel Washington have in common? They all worked at summer camp! How exactly does camp build skills? The skills that camp builds are valued in the post-grad workplace. Motivating and mobilizing a group of children at any age to follow your instructions, work as a team, and listen to your advice takes real leadership. The teams at soccer are uneven… Four different campers want to sit next to you at lunch… Whoops, a shoelace broke again… Time to practice problem-solving! 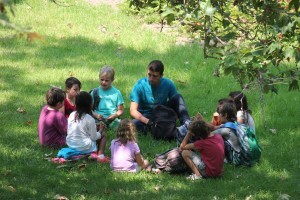 Camp is all about communication, whether you’re aiming to give a clear explanation to a large group or have a heartfelt, one-on-one conversation with a child. There’s been a scheduling change, and now you need a lesson plan for 5-year olds instead of 9 year-olds. Looks like some quick-thinking is in order!